Beautiful 2 bedroom with a POOL in Bokeelia! Summer Rental! 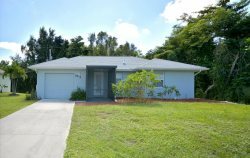 Enjoy this beautiful 2 bedroom 2 bath home located on a canal with great access! Updated, and beautifully decorated that will make you feel right at home. Bring you boat! Dock and covered boat lift available.10 Minutes and you are out into open water to experience some of the best fishing Florida has to offer. You will definitely enjoy everything St. James City has to offer. With multiple restaurants, bars and local entertainment you won't lack things to do! Perfect Waterfront Pool Home in Manatee Bay! Bring your boat! Beautiful waterfront efficiency condo. Tropical Paradise with an In-Ground Hot Tub! Best Access to Pine Island Sound! and Pet Friendly! Direct access to the Gulf! Brand New Beauty in Treasure Cove! Live the Captains Harbor lifestyle 1101-74.